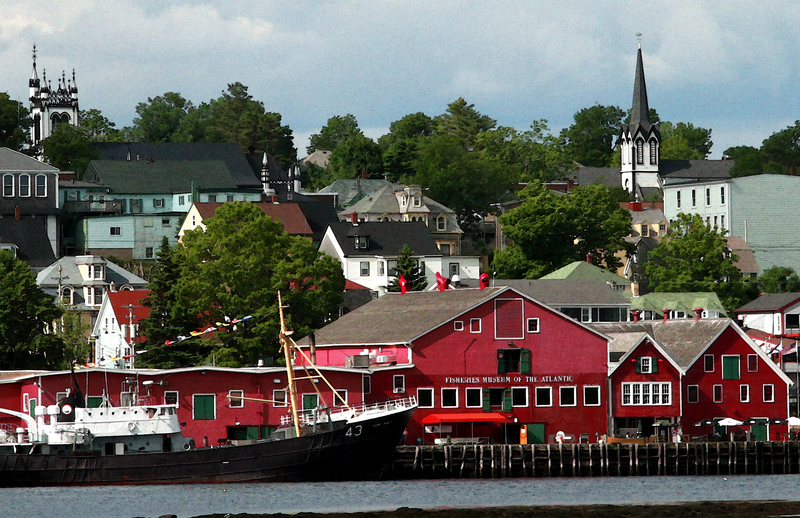 From the Wabi Sabi archives, a look at Lunenburg, Nova Scotia. 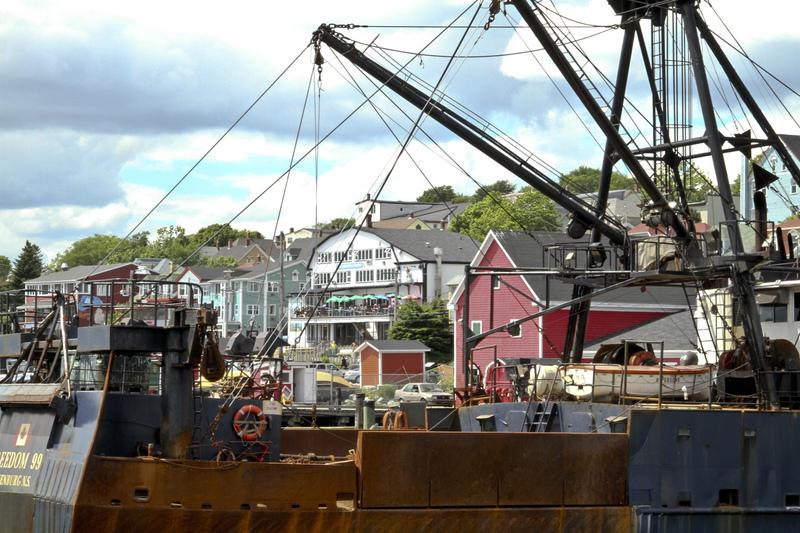 Lunenburg is not only on the National Geographic’s list of “Canada’s 50 Places of a Lifetime,” it has also been named a UNESCO World Heritage site as well. 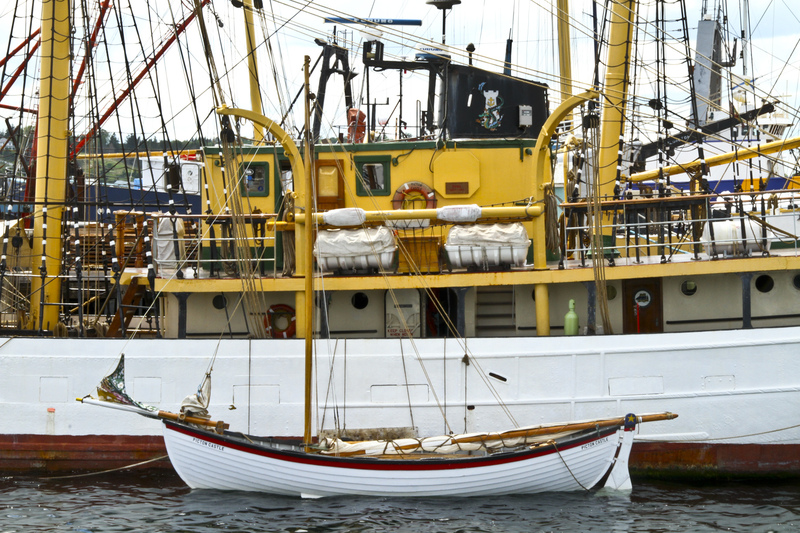 i’ve never heard of Lunenburg b4. On the coast south of Halifax. Fewer than 3,000 people and NOT packed with tourists, believe it or not. Love the bright red buildings. What a pretty coastal village, Patricia. Thanks, Jane. The parts you can’t see are lovely as well. Hoping to get there soon, sooner after looking at your photographs. Thank you, Victor. The side streets, away from the downtown, are STEEP, but the homes equally lovely and genuinely picturesque–not tarted up for the tourists. These pictures are beautiful. A perfect little ocean retreat. The colors are glorious! Looks European..
Yes…seriously beautiful. As a piece of advice, do not order a lobster roll at the restaurant with the umbrellas (seen above.) Came on white (!) bread and served by a surly waitress. They do have a distillery downtown (open for visits) and some incredible ice cream at another shop. 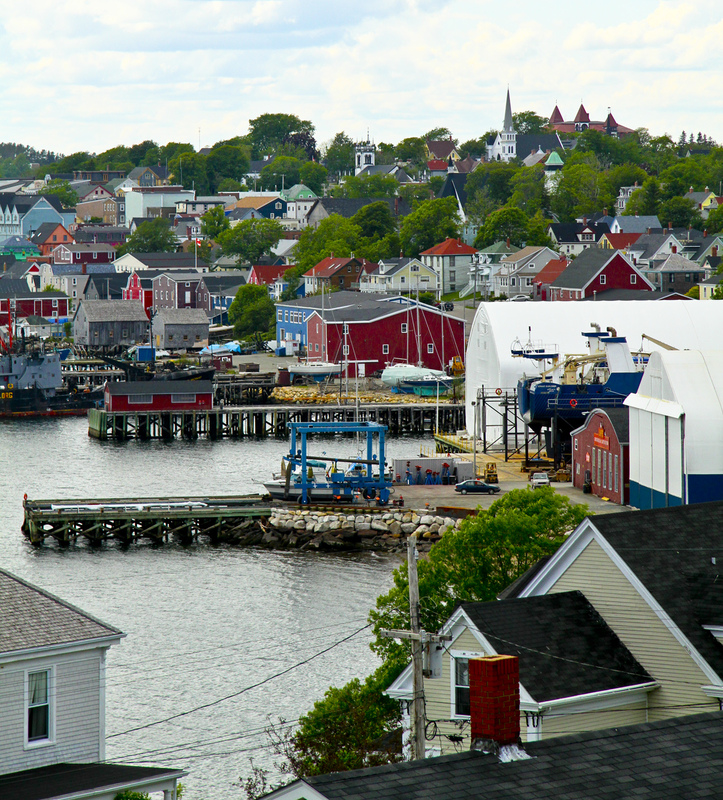 These pictures are making me more excited about our trip to New Brunswick. I bet I will see similar sights. Wow.